Joe Brooks knows that a picture is worth a thousand words. 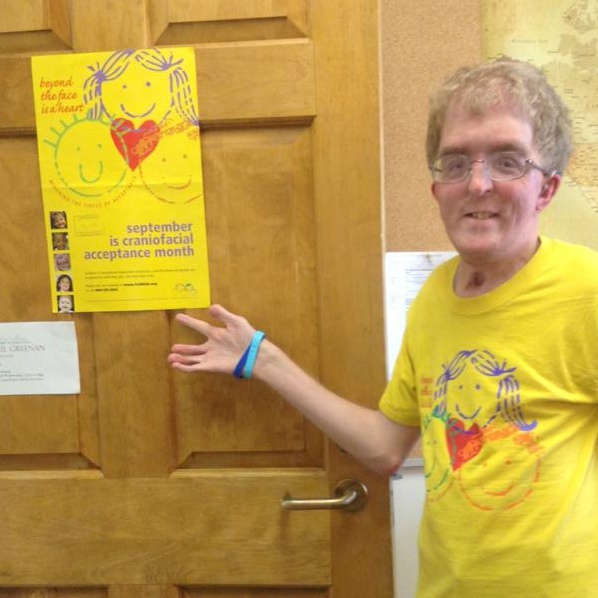 In this post from last year, he shows us how to turn Facebook yellow to celebrate Craniofacial Awareness Month (#CAM). Thank you, Joe for your great instructions on how to update your Facebook page images. Everyone should do the same on Twitter and Instagram, too. On Twitter, be sure to tag your #CAM posts with this year's hashtag, #DifferentIsCool_CAM2016. Every word and image make a big difference.